The worldwide and increasing loss and degradation of grassland and wetland habitats has had its effect on the Motacilli-dae. Of the family's 63 species, two are Endangered, three are Vulnerable, four are Near Threatened and two are Data Deficient. In addition, the recently described Mekong wagtail, although existing in healthy numbers in Cambodia as of 2001, should probably be regarded as Near Threatened because of its very small known range and its susceptibility to habitat loss. Three of the eight longclaw species are of global conservation concern. The Endangered Sharpe's longclaw, which is endemic to grassland in the Kenya highlands, has a very small and fragmented range and is threatened by rapid habitat loss and degradation through cultivation, tree-planting and heavy grazing. The Abyssinian longclaw (Macronyx flavicollis), a highland grassland species confined to Ethiopia, has apparently declined in numbers since the 1970s. It is likely to suffer further declines as a result of constantly increasing levels of cultivation and grazing, and is therefore classed as Near Threatened. Grimwood's longclaw (M. grimwoodi), which occurs in moist grasslands in southwest Democratic Republic of the Congo, central and eastern Angola and extreme northwestern Zambia, was formerly regarded as locally common but there is no recent information on its population or on potential threats, and it is regarded as Data Deficient. The other eight species of conservation concern are all pipits, six of which are sedentary, with very restricted ranges. 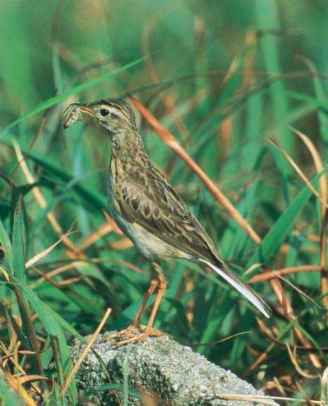 In Africa, the Sokoke pipit is restricted to coastal forest and thickets in Kenya and Tanzania, where its small population is seriously threatened by habitat loss and degradation; it is regarded as Endangered. 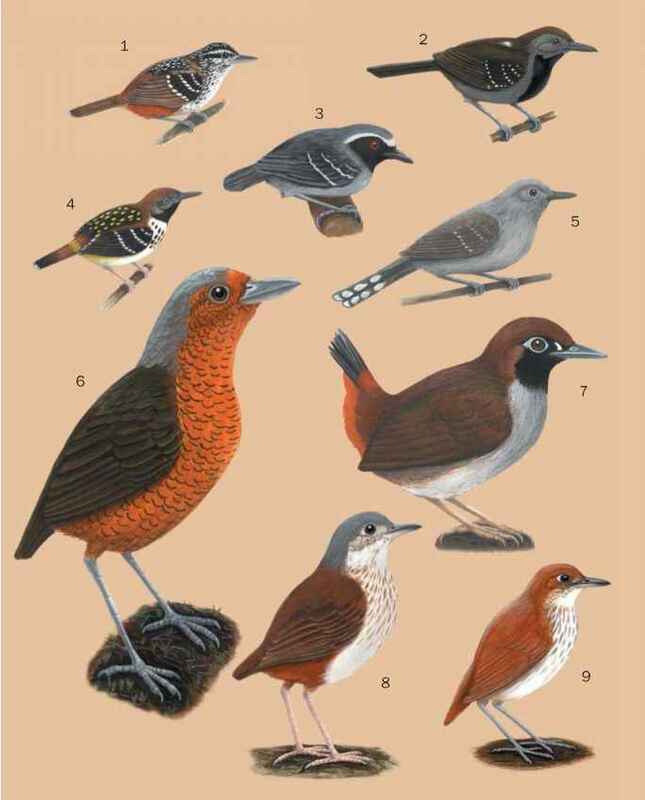 The Near Threatened Malindi pipit (Anthus melindae) is endemic to the coastal strip from southern Kenya to southern Somalia, where it is locally common in seasonally flooded short grassland that is under pressure from intensive grazing and demands for arable land. The Vulnerable yellow-breasted pipit is restricted to highland grasslands in South Africa, where its small, declining population is threatened by habitat loss. The long-tailed pipit (A. longicau-datus), recently described from Kimberley, South Africa, is presumed to be a migrant and its range and status are unclear. It is regarded as Data Deficient. The Near Threatened Nilgiri pipit (A. nilghiriensis) is endemic to southern India, where it has a small range on grassy upland slopes of the Western Ghats of Kerala and Tamil Nadu. Its habitats are being converted to tea, wattle and eucalyptus. In the Americas, the Vulnerable ochre-breasted pipit (A. nattereri) is confined to dry grasslands in southeast Brazil, southern Paraguay and northern Argentina. It has declined dramatically in Brazil and is threatened by extensive and continuing habitat destruction. The migratory Sprague's pipit of Canada and the United States is also Vulnerable. The Near Threatened South Georgia pipit has a population of 3,000-4,000 pairs confined to about 20 small rat-free offshore islands and a few mainland areas on South Georgia. An ongoing threat is the invasion of its habitats by rats.